We had a week of dry weather in April and jumped at the chance to shear the sheep. Their wool was very long and they had not yet been released out to the lush grass. We know that the wool can get very messy once they begin to eat that fresh grass. 13 sheep to shear, no big deal for those Aussie shearers that can take the wool off 200 sheep in a day. 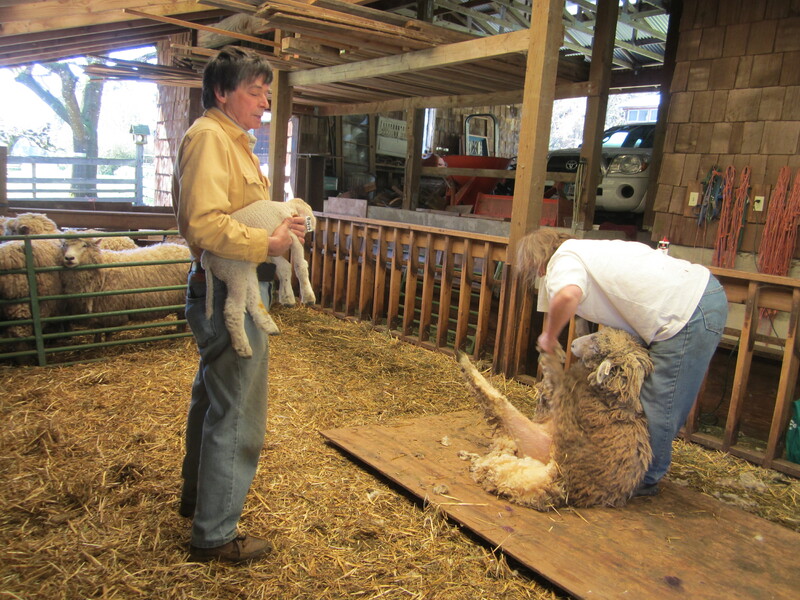 By contrast, we decided to take it slow and easy, hoping that shearer Beth and assistants John and Marilyn — as well as all the sheep — would escape injury and there would be 13 bags full at the end of the afternoon. We achieved that objective. 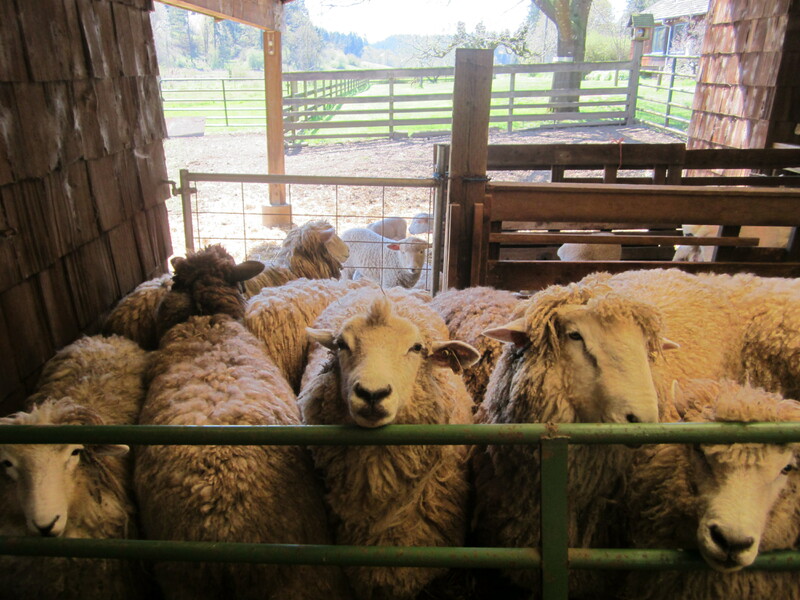 Each adult sheep received a worming shot, had its feet trimmed, and was relieved of a heavy fleece. Who will be next for a haircut? 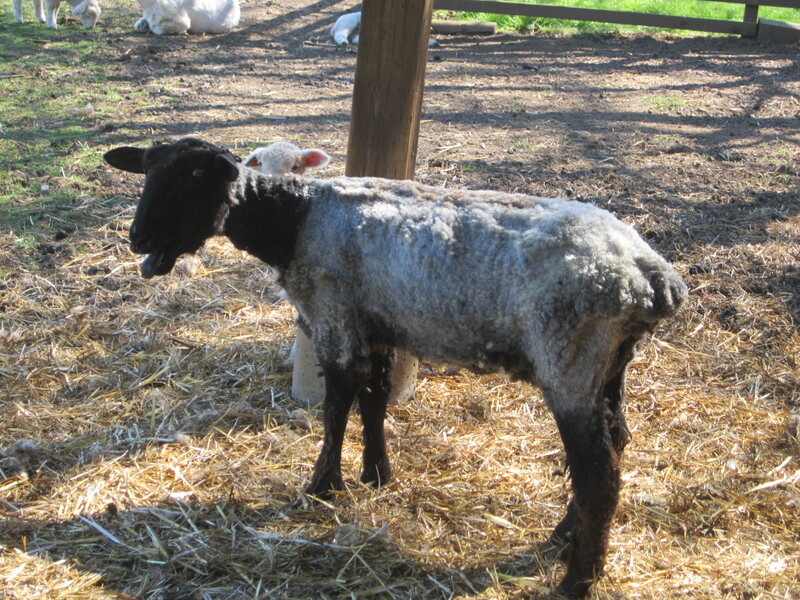 Mama will not look the same without her wool. The yearling mothers had very young lambs, just a week or two old. So we decided to “mother up” the young moms and their babies after shearing. 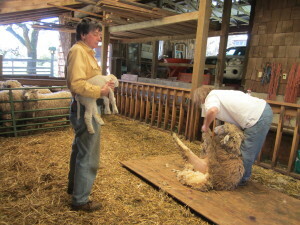 Here John is holding the lamb so that we can reunite mother and baby as soon as she is shorn. For a few weeks, the sheep will look like scrawny goats. But soon they will begin to grow the next lovely fleece.